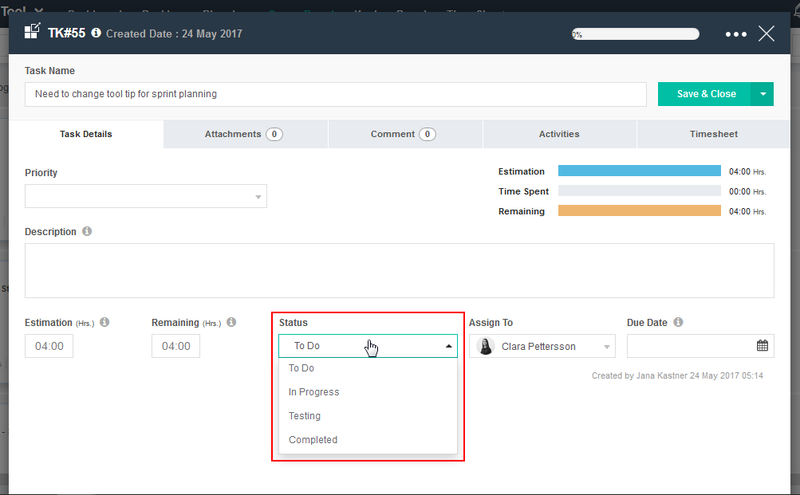 Change your Task status as and when you are moving towards the completion of the Task. There are two ways you can change your Task status. 1. Drag and Drop Tasks in a lane. 2. Edit Task and change the status.